Please read the following customer agreement. Use the scroll bar to view the rest of this agreement. By clicking the Accept button, you are consenting to be bound by and become a party to this customer agreement as the Customer on www.miamistainless.com.au (the Website). If you do not agree to the terms and conditions of this agreement, you must not click the Accept button and you do not become a customer under this agreement. 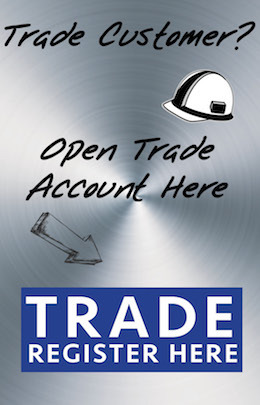 You may download, print and/or keep a copy of these Terms of Trade. (1) All products sold by Miami Stainless Pty Ltd (Miami Stainless) to the Customer are sold subject to the following terms and conditions. No variation, modification or substitution for these terms and conditions shall be binding on Miami Stainless unless specifically accepted by Miami Stainless in writing. (2) Any products whether through this Website or direct from Miami Stainless shall be on these general terms and conditions of trade with Miami Stainless which can be viewed and downloaded at any time by clicking here. (1) Placement. The Customer must place orders for products based upon the prices provided by Miami Stainless for stocks of the products on its Website (the Products) or Miami Stainless price catalogue. An order may be placed via email and in accordance with the electronic procedures specified on the Website. (2) Contract. A contract comes into existence once written acceptance of a written or verbal order (the Order) from the Customer has been made by an authorised employee of Miami Stainless. The place of the contract is the place where the Order is accepted by Miami Stainless. Any Order not accepted by Miami Stainless will be regarded as having been refused by Miami Stainless. The Customer may not alter or modify the Order once the Order is accepted by Miami Stainless without the written consent of an authorised employee of Miami Stainless. The placement of an Order by the Customer and Miami Stainless constitutes acceptance of these Terms of Trade. (3) Terms. The Customer must make payment for the Products required before any agreed manufacture of or dispatch of Products unless the Customer holds a credit account with Miami Stainless and in accordance with a credit application agreement between Miami Stainless and the Customer. (4) Quotations. 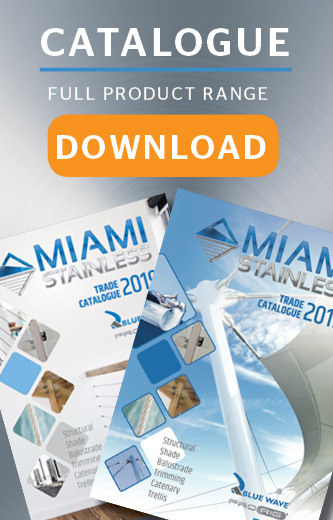 All quoted prices on the Website or Miami Stainless price catalogue are subject to change or withdrawal at any time prior to acceptance of an Order by Miami Stainless. Miami Stainless reserves the right to amend the price of the undelivered portion of the Products at any time prior to its acceptance of an Order by changing the price for a product on its Website. All quotations given by Miami Stainless in writing to a Customer are valid for a maximum period of thirty (30) days from the date of the quotation unless express notice is otherwise given by Miami Stainless. (5) Invoicing and Payment. Miami Stainless may issue an invoice to the Customer. The Customer must pay the purchase price on the invoice for the Products without any delay, counter-claim, abatement, deduction or set-off prior to delivery of the Products by Miami Stainless to the Customer. Miami Stainless shall be entitled to retain the Products until full payment for the Products has been received. (6) Prices. The price payable for the Products ordered will be the price specified in Miami Stainless price catalogue or on the Website at the time the Order is placed. All prices for the Products shall be in AU$. Miami Stainless reserves the right to vary its prices in its price catalogue or on the Website without notice. Special prices on bulk items are available on request and will be at the sole discretion of Miami Stainless. Prices are exclusive of Products and Services Tax (GST). Customers are liable to pay GST on all items, and will be charged at the applicable rate. Miami Stainless reserves the right to refuse large quantity Orders. (7) Cancellation. An accepted Order cannot be cancelled without the prior written consent of Miami Stainless. Where an Order is cancelled, the Customer indemnifies Miami Stainless against any losses incurred by Miami Stainless as a result of the cancellation, including, but not limited to, loss of profit from other Orders foregone as a result of the scheduling of the Order which has been cancelled. (8) Additional Charges. Miami Stainless may require the Customer to pay additional charges for costs incurred by Miami Stainless as a result of reliance on inadequate or incorrect information provided by the Customer. The imposition of additional charges may also occur as a result of cancellation by the Customer of an Order where cancellation results in loss by Miami Stainless. (1) Miami Stainless will use its best endeavours to deliver the Products in Australia within 14 days of acceptance of an Order and full payment for the Products. (b) Miami Stainless or Miami Stainless nominated carrier delivers the Products to the Customers address. (4) The Customer must make all arrangements necessary to take delivery of the Products otherwise Miami Stainless will be entitled to charge a reasonable fee in the event that redelivery is required. (6) Any date for delivery given by Miami Stainless is an estimate only and Miami Stainless will not be held liable financially or otherwise for failure to deliver on or before the quoted date unless a written guarantee of delivery has been issued by Miami Stainless. (d) payment for Products previously supplied to the Customer has not been received by Miami Stainless in accordance with its payment terms. The Customer shall inspect the Products upon receipt at its business premises and shall within three working days after receipt notify Miami Stainless of any discrepancies or other abnormalities it wishes to make a claim for in the absence of which the Customer shall be deemed to have accepted the Products. (1) The Customer is entitled to return a faulty Product. The Customer can choose a refund or exchange if a Product has a major fault. If the fault is minor, Miami Stainless may elect to give the Customer a free repair instead of a replacement or refund. (2) In the event of incorrectly supplied Products, Miami Stainless will replace the Products supplied with the Products ordered. Where the correct Products are unable to be supplied Miami Stainless will reimburse the Customer for the cost of the incorrectly supplied Products. (3) You are responsible for returning the Product to Miami Stainless. Products will only be accepted for credit if returned within 45 days of date of delivery and must be accompanied by a request for credit quoting the original invoice and/or delivery docket number, the purchase Order number, date and reason for return. (4) Prior notification of the return of Products is required, at which point a returns and claims number will be allocated which must be quoted at the time of the return. The acceptance of such Products does not imply an agreement to issue a credit note. Products are subject to inspection and approval and will attract a 10% or $20.00 (whichever is greater) handling and restocking charge. Freight will be at the expense of the Customer unless the Products were supplied incorrectly. (d) Products with an alleged deficiency or discrepancy where the Customer has failed to open and check all items supplied within 14 days of delivery and report such a claim to Miami Stainless within 14 days. (1) Risk in the Products shall pass to the Customer on delivery of the Products to the Customer or into the custody of anyone apparently acting on behalf of the Customer whichever is sooner. (2) Miami Stainless is responsible for insurance of all Products up to the time of delivery. The Customer is responsible for insurance of all Products from the time of delivery. (2) Notwithstanding that risk in the Products shall pass to the Customer as provided in paragraph 6, title to the Products shall remain with Miami Stainless until all monies owing by the Customer to Miami Stainless have been paid in full. (f) grants an irrevocable licence to Miami Stainless or its agent to enter the Customers premises or premises under its control in Order to recover possession of Products pursuant to this paragraph. (1) This Agreement is a security agreement. (2) The interest of Miami Stainless in the Products and all proceeds from the sale of the Products by the Company to a third party is a security interest. (3) The Customer consents to Miami Stainless registering its security interest on the Personal Property Securities Register and agrees to provide all assistance reasonably required by Miami Stainless to facilitate registration. (4) Until such time as title in the Products has passed to the Customer as contemplated by clause 7 above, the Customer agrees not to in any way assign, charge, lease or otherwise deal with the Products in such a manner as to create a security interest over the Products in favour of the Customer or any third party. The parties agree that this clause will not prohibit the Customer from selling the Products in the ordinary course of business. (5) The Customer waives its rights to receive any notice under the PPSA (including notice of verification statement) unless the notice is required by that Act and cannot be excluded. (f) any right the Customer has to reinstate this Agreement before Miami Stainless exercise a right of disposal of the Products. (7) Expressions defined in the PPSA have the same meaning when used in this Agreement. (1) The Customer agrees that all right, title and interest in copyright, trade marks, database rights, patent rights, design rights and domain names relating to this Website or its Products or services are the property of, or vest on creation in, Miami Stainless or their respective owners. (3) All intellectual property rights in respect of the Products remain Miami Stainless property and the Customer may not use, reverse engineer, interfere with or alter them in any way. The Customer will indemnify Miami Stainless against and agrees to reimburse if for any expenses it may incur in recovering or attempting to recover payment from the Customer for any amount which may from time to time be overdue. These costs include legal court, solicitors, debt collections agency commissions and fees. (1) If the purchaser is defined as a consumer under the Australian Consumer Law, Miami Stainless provides the consumer guarantees to the purchaser as set out in the Australian Consumer Law. Consumer Guarantees under the Australian Consumer Law cannot be excluded but all other warranties, express or implied, are hereby excluded. (2) For a product supplied by Miami Stainless, a consumer is entitled to a replacement or refund for a major failure and to compensation for any other reasonably foreseeable loss or damage. A consumer is also entitled to have the product repaired or replaced if it is not of acceptable quality and the failure is not a major failure. (f) The terms of the preceding clause apply unless the purchaser is a consumer and such loss or damage arises from the negligence or wilful misconduct of Miami Stainless or any of its officers, employees or agents. (2) If a dispute is notified, the dispute must immediately be referred to the parties respective senior management. Those representatives must endeavor to resolve the dispute as soon as possible and in any event within 5 Business Days (or other period as agreed). (3) Unless otherwise agreed by the parties, any dispute that cannot be settled by negotiation between the parties or their representatives the parties expressly agree to endeavor to settle the dispute by mediation administered by the Australian Commercial Disputes Centre (ACDC) before having recourse to arbitration or litigation. The mediation must be conducted in accordance with the ACDC Guidelines for Commercial Mediation which is operating at the time the matter is referred to ACDC. The Guidelines set out the procedures to be adopted, the process of selection of the mediator and the costs involved. The terms of the Guidelines are incorporated into these Terms of Trade. This paragraph survives termination of these Terms of Trade. (1) These Terms of Trade are governed by the laws of the State of Queensland and each party irrevocably submits to the non?exclusive jurisdiction of the Courts of such State.